A fair growth of 14.06% in the revenue at Rs. 27165 Cr. was reported in the September 2015 quarter as compared to Rs. 23816 Cr. during year-ago period on consolidated basis. A humble growth in net profit of 16.02% reported in the quarter ended September 2015 to Rs. 6084 Cr. from Rs. 5244 Cr. Company has also witnessed small increase in profit margins. On sequential basis, growth in revenues is at 5.83% and net profit at 7.05%. Infosys has posted better returns than expected. On the consolidated basis, the company has reported 9.79% & 12.18% rise in its net profit at Rs 3398 crore for the quarter ended September 30, 2015 as compared to Rs 3096 crore for the same quarter in the previous year (Q2 FY15) and Rs 3030 crore for last quarter (Q1 FY16). Net Revenues (consolidated) of the company has increased by 17.19% and 8.92% at Rs 15,635 crore for quarter under review as compared to the quarter ended September, 2014 and June, 2015 respectively. Why markets may correct further? We have witnessed some volatility in markets during March 2015 it may remain so for some period due to many reasons. Explanation of these reasons is as below. Indian markets have performed very well for more than one year. NIFTY touched its highest level of 9100 in March 2015, which is a rise of 70% from its low of 5300 level in August 2013 without giving a single correction of 10% or more. It is not a healthy sign for any kind of trend & signals toward a correction. RBI did its second rate cut of 25 basis points on March 4. It was also the day when markets touched its life time high in early trades. But it could not maintain that level and closed in red mark. It was a major trigger for markets to lead it to further highs, but it failed to do so & since then markets have corrected 8% from its high. Untimely rains in India have how to beat 1.81 crore hectare crops of most of states of India so far. It is going to impact the inflation in times to come which RBI has brought under the set targets with so many attempts and so much difficulty. It may also delay the further rate cuts. Also it has hit the farmers heavily which will lead to loan defaults. It will further hamper the demands in different sectors due to less spending by rural India. Corporate earnings have still not picked up & dismal earning growth will be witnessed for current quarter too. Markets have grown at much higher pace as compared to earnings growth from past 2-3 fiscals continuously. It is not good as markets are slave of earnings. Europe has still not recovered as demand in euro zone is still not picking up. China and Japan are also facing downtrend in demands. It will hurt the export led sectors of India. Also currency war is under process in the world. INR has remained flat as compared to USD but has appreciated heavily against the baskets of currencies of other countries. It will further hamper the competitiveness of Indian export companies. Also, US may hike interest rates this year which will lead to some volatility in foreign inflows in India. All these global factors are also indicating the volatility ahead. Due to all these reasons markets may remain volatile for some period and may correct further from current levels. Save tax by investing in equities and debt. The most common and accepted form of investment is fixed deposits. The interest which they earn gets added into their income and thus they end up paying marginal rate of tax. For example a person, who is 30% tax slab, gets Rs. 1,00,000 interest income on his fix deposits at the interest rate of 9% then he has to pay 30.9% tax on the interest income and finally gets Rs. 69,100 in hand. It means you get just 6.2% return in hand after tax. So, there is the need to understand other investment options & their taxation. An alternate to fixed deposits with minimum risk is Debt funds. They invest in Govt. & corporate interest papers. 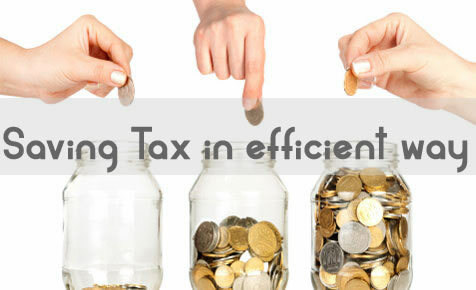 However while investing in these funds one needs to keep in mind the taxation. If one invests for less than 36 months then the taxation is just like the taxation on fixed deposits, but if one invests for more than 36 months then he will have to pay 20% tax after indexation. For example if a person earns 9% annualized return and inflation rate is 6% which means he/she earns 3% after inflation and will have to pay 20% on it which will be just 0.6%. So one will be able to get 8.4% return in hand after tax irrespective of your tax slab. However in terms of returns the best advisable option to invest is the equities. 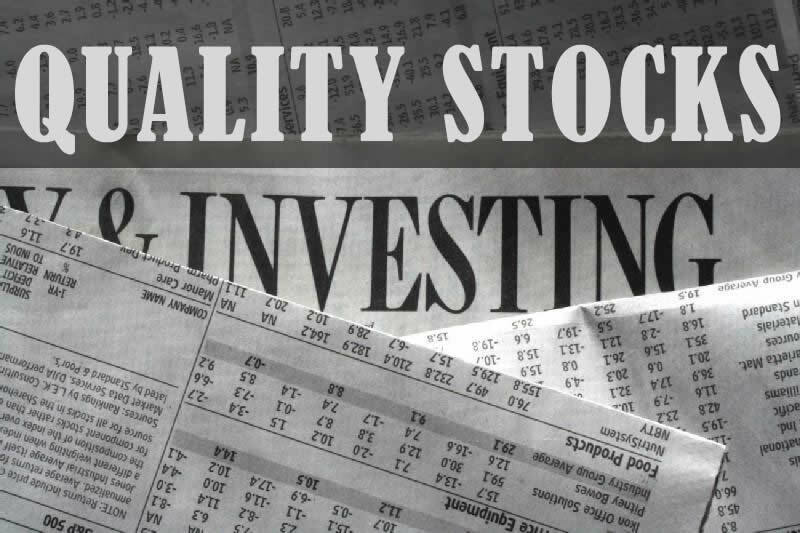 One can buy stocks directly from the market or through equity mutual funds. Equity markets may be risky for short tenure, but in long run they provide highest returns in comparison to other asset class. SENSEX has provided the annualized return of 16.8% since inception. Also the taxation in equities is low. If one invests for less than 12 months then it will be consider as short term capital gain & he will have to pay 15.45% tax on capital gain. If one invests for more than 12 months then gain will be considered as long term capital gain and it will be totally exempted from tax. Third option could be the balanced funds where at least 60% is invested in equities and rest in debt. It is safer then equities but riskier than debt. In long run balanced funds have provided annualized return of 14-15%. The taxation of balanced fund is same as in equities. So by investing in balanced fund you can save the tax even on the portion which has been invested in debt. However investment in any of the above asset class will depend on risk profile of the customer and time horizon of the investment. A Financial advisor can assist you in understanding your risk profile and advise you right investments to achieve your financial goals. Corporations posted heavy falls in the earning in the quarter ending Mar-15. Bad results were being estimated but no one had expected such huge falls in profits. SENSEX earnings (of 25 companies who has posted results so far) in Q4 FY15 have come down by whopping 31% as compared to the year before in Q4 FY14. Indian markets have performed very well for more than one year. NIFTY touched its highest level of 9119 in March 2015, which is a rise of 78% from its low of 5118 level in August 2013 without giving a single correction of 10% or more. It is not a healthy sign for any kind of trend & signals toward a correction. RBI did its second rate cut of 25 basis points on March 4. It was also the day when markets touched its life time high of 9119 in early trades. But it could not maintain that level and closed in red mark at 8923. It was a major trigger for markets to lead it to further highs, but it failed to do so & since then markets have corrected 8% from its high. Untimely rains in India have ruined 1.81 crore hectare crops of most of states of India so far. It is going to impact the inflation in times to come which RBI has brought under the set targets with so many attempts and so much difficulty. It may also delay the further rate cuts. Also it has hit the farmers heavily which will lead to loan defaults. It will further hamper the demands in different sectors due to less spending by rural India. Why should you invest in debt oriented mutual funds instead of FDRs? In India, most of investors are conservative & thus invest their liquid money into fixed deposits. In fact there is great need to provide awareness about alternate products which provide better returns and are also very safe & very less risky. Debt oriented fund is a great alternative to FDRs right now. It is a product which constitutes govt. debt papers and corporate debt papers. To collect funds both govt. & corporate issue debt papers/bonds. They provide specific interest on these papers. Duration of these papers can be both short-term & long-term. Most important thing about it is that these papers are tradable. Government securities, also known G-sec are less risky as compared to corporate papers. Trading price of these papers is also the function of interest rate changes. One should understand how he can take benefits from interest rate cycles. Prices of bonds have inverse relation with interest change. If interest rates come down then the prices of bonds go up and vice-versa. Also, longer the maturity period/duration of bond higher will the impact on price change. Let’s try to understand the impact of interest rate change on price in very easy manner with one simple example. Say, Govt. issues a debt paper at INR 1,000 with annual interest rate of 8% with maturity of 10 years. In next few weeks if interest rate falls by 0.25% or 25 basis points then the bond price should also shift to the level where it will get 7.75%. Due to this adjustment price of bond will increase to INR 1,017. So the fall of 0.25% interest rate gives you the capital appreciation of 1.7% and you will also get 8% returns annually on the investment paid. India is currently going through the face where Inflation levels have come down, thus actions will be taken to strengthen GDP growth. Declining phase of interest rates has started and interest rate will further fall in coming period. 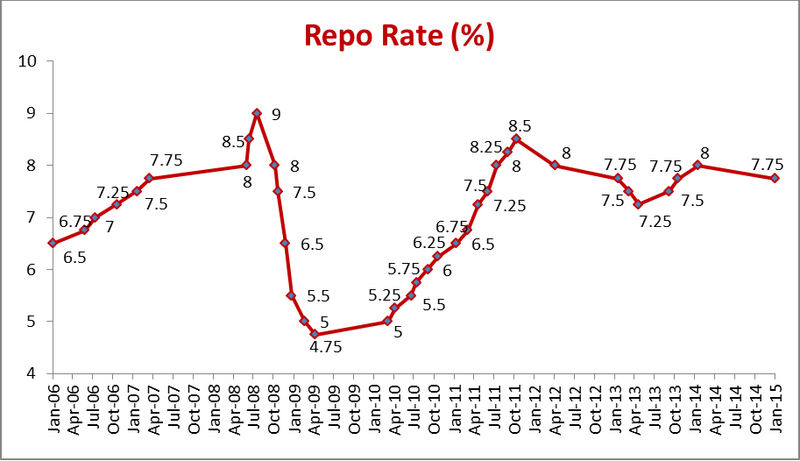 Right now the repo rate is 7.75% and 10 year govt. sec yield is 7.70% approximately. As interest rates are in declining phase one should invest in high duration government securities or GILT funds. GILT funds invest only in government securities. So the risk of loosing money is even lesser than banks. If interest rates fall by 100 basis points by year end and which is expected then GILT funds can easily give 15% return. These investments are very safe as they are not related to stock market. Also, if one holds these funds for more than 3 years then he gets tax benefits on the income/return generated. If investments made under these funds are for more than 3 years than tax on the income generated will be taxed at 20% after indexation irrespective of tax slab. For example, if one gets annualized return of 10% & inflation is 7% then tax will be 0.6% (20% of 3%), but in FDRs return is added to your income and is taxed accordingly to your tax slab. For example, if your tax slab is in 30% range then, in FDR giving 10% annualized return, you will get just 6.91% return in hand after taxation. GILT funds have also performed very well last year as shown in table and it may continue for next 2-3 years till the interest rate cycle reverses. So its time to accept and invest alternates of traditional products to get good returns. Mr. Prashant started the discussion by saying that we have the Interest rate Policy coming next week. Mr. Prashant stated that a lot has happened in the past 2-3 months in India and outside. Oil has come down significantly. We have an OPEC meeting on Nov 27th 2014, and so Crude might go up in the short term if they cut output. We don’t expect Crude to fall to USD 50-60 levels. We think its range should be USD 70-90. Crude price fall has also impacted our local Oil prices and the subsidy on Diesel has also been done away with. In CPI also Crude has 10% weightage. Lower Minimum Support Price and lower wages will support low inflation. All these factors should contribute to keeping CPI around 6%. In GDP, Fiscal Deficit and CAD: Fiscal Deficit is the outcome of what kind of subsidies we are paying. Next year we expect the Food and Fertiliser subsidies to be targeted. GDP appears to have bottomed out. CAD is dependent on how INR moves. Should be around 2.5%. Therefore, most macroeconomic factors are quite in favour of low yields. Secondly, a lot of FII money has come in. India has less flows as a %age of XYZ . Only 4% as compared to 30% eg. in Malaysia. Lastly, RBI has been contemplating US rate hikes. We believe India will not be impacted so much, because the quality of investors is good. If US continues to hike rates, then Europe and others will buy their securities and yields will drop. Doesn’t look like US can continue to hike rates. Secondly, US-India differential has been historically 600 bps. But it has also seen a low at 200 bps in the past. Dependent upon inflation data. So, India can reduce rates, and US can increase rates and Bps gap can reduce for some time. We have a majority party now so good reforms are expected. Environment not like UPA II. Returns on Dynamic Bond Fund: 8-9% since March, due to changes in Duration. Over a 3 year period, returns have been very good. Over longer periods of time, Duration management pays off, although in a shorter period it could be volatile. Relative to FDs, it is a strong case, this Fund. It has low volatility. Past year’s returns have been 9.5%, greater than FD and Post Office schemes. Q1 Iqbal Singh: RRSF Debt: Mod. Duration 6.78 and YTM is 8.81. Your opinion on which side we should take the call ? Further Nil exit load on Reliance income fund relative to RRSF. What was the criteria ? A: Mr. Prashant: Reliance Income fund has no exit load because it is playing on duration and good exposure to Gsec. RRSF debt portfolio is illiquid and playing on accrued income with credit spread. (YTM-10.55%) Its papers are not sold so easily. Hence lock in is there. Q2 Iqbal Singh: What is the rationale behind Edison Utility Works, or Pune Infoport etc., which are large percentages of your portfolio but not big names and not rated ? A: Mr. Prashant: Edison is an exposure to the Zee group. Pune Infoport is an exposure to Blackstone (Express Towers at Nariman Point). Underlying assets are very strong even if names are not known. Loans against shares. Locked in at 13-13.5%. Our average rating is AA. We have flexibility to go upto A.
Café Coffee Day is a lending to its owner. Similarly lent to Mindtree. Purely Loans against Shares (LAS) operations. Have not done anything in which the cover is less than 2. Q Iqbal Singh: Out of Dynamic Bond Fund and Income Fund how should we allocate ? Q Iqbal Singh: Dynamic Bond Fund started on Nov 15, 2004, since Inception IRR 6.7% ? A Prashant: It was earlier started as NRI fund and got merged to dynamic bond fund in 2009.